There is just about no better way to end a day of photography at the lake than with this display of wild freedom. 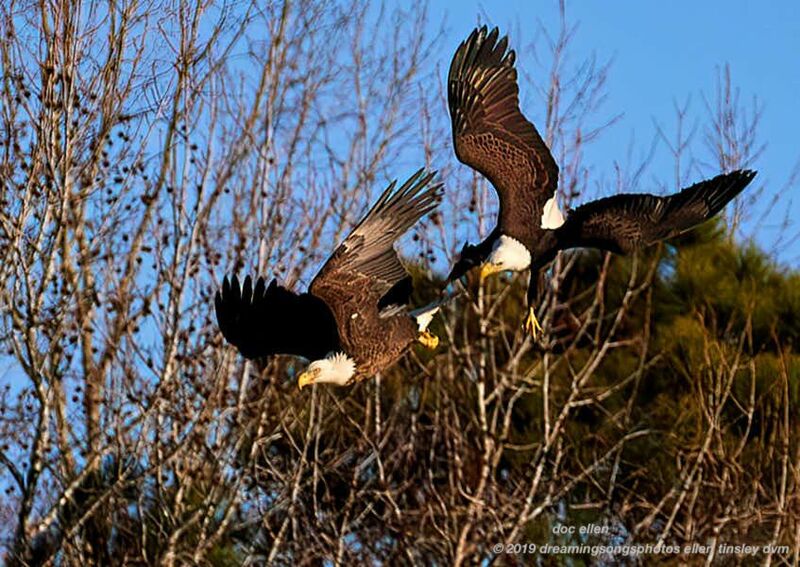 A pair of adult bald eagles challenging the wind, the sky, the earth beneath them and each other. Posted in birds, Eagles of Jordan Lake, Haw River, Jordan Lake, Jordan Lake State Park, photography, raptors, wild birds and tagged as American bald eagle, bald eagle, bald eagle flight, bald eagles of Jordan Lake, eagle, eagles of Jordan Lake, flight, Haw River, Jordan Lake, Jordan Lake State Park, raptor.